We are pleased to announce that we are potty training ambassadors for HUGGIES® Pull-Ups® and we have been having great fun (mostly!) while starting Littlest’s journey to wearing ‘big girl’ pants full-time. 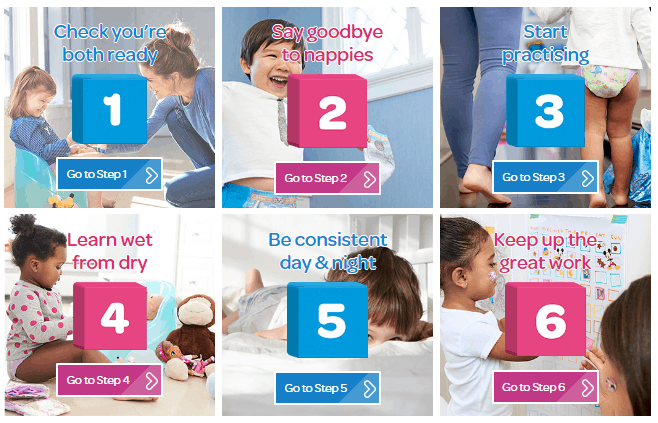 With the help of their expert, child psychologist and mother of four, Dr Heather Wittenberg, Huggies have pulled together the most practical and helpful tips to help your child feel confident with potty training. 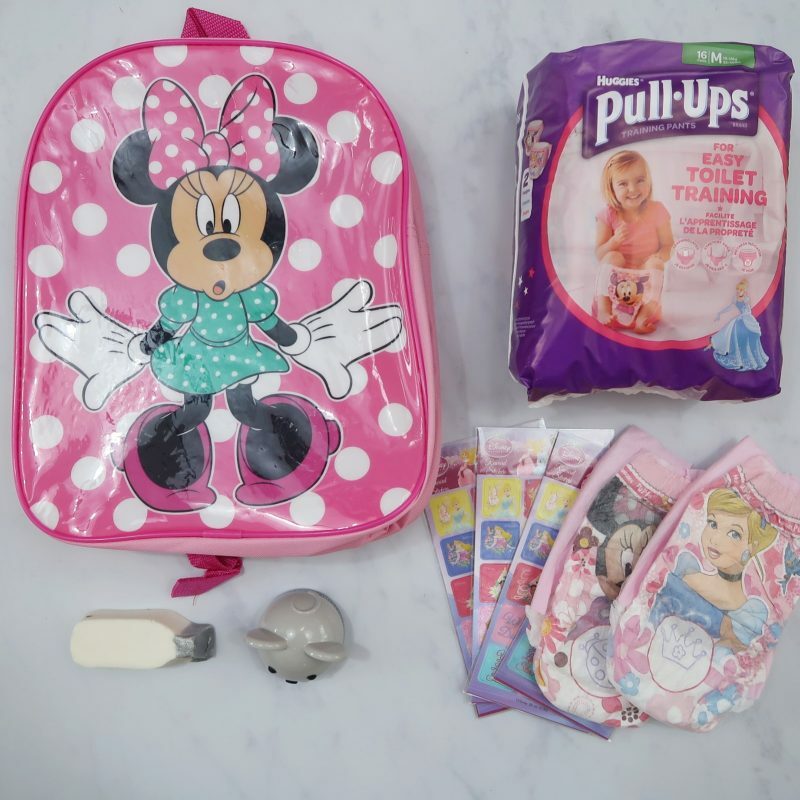 We have known that Littlest has been ready for some time, as she has been showing all 8 Signs of Readiness from the Huggies 6 Steps to Potty Training Success program. The team at Huggies sent us a brilliant box of goodies to get us enthusiastic about starting our journey. (And my goodness, did it work. I think the bag and stickers alone will thrill Littlest for weeks to come!) Each item will help to support the steps in our potty training journey. We know that children who have a good positive potty training experience are more likely to have greater self-confidence, feelings of self-control, and overall sense of achievement. The unique learning features of HUGGIES® Pull-Ups® allow your child to practise independence and self-control, with the right level of protection for when little accidents happen as they learn. Littlest loves pink, princesses and everything Disney. This is not something that I have particularly encouraged (We try to avoid gender stereotypes where we can) but I have given her freedom to choose the clothes and toys that she likes. She was absolutely mesmerised when we opened our Huggies goodies. We received some lovely items to help support each of the six steps. The reward stickers and princess Pull-Ups meant that Littlest was keen to ditch the nappies and start practising right away. She insisted on filling her back-back up with stickers and Pull-Ups and headed off into the sunset with them. The soap and timer are really useful tools for establishing a routine and practising too. We also received a pink Minnie Mouse Potty and Step which are Littlest’s new favourite possessions. Step 4 on the Huggies 6 Steps to Potty Training Success is helping your child to learn the difference between wet and dry. Huggies Pull-Ups have two great features that help your child to understand the difference – without any mess! The Learning Layer in daytime Pull-Ups briefly mimics the feeling of real wet underwear without the mess and the wetness indicator gives your little one a visual sign to go along with the feeling of wetness. 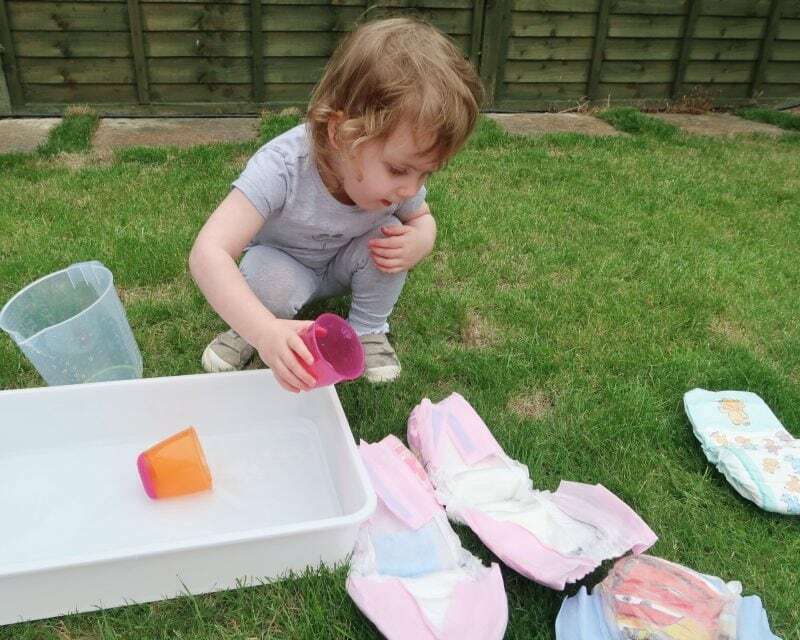 Littlest and I did some experimenting in the garden, (and water play – always a huge hit!) in order to learn about wet and dry and put the pull-ups through their paces. It was interesting to compare the feel of the Day and Night Pull-Ups. The day Pull-Ups have the Learning Layer and the night ones do not. The difference in the feeling of moisture was very clear. HUGGIES® Day-Time Pull-Ups® will let your little one know they are wet, without the mess, while the Night-Time Pull-Ups keep them feeling dry for comfort at night. I am so proud of Littlest. She has taken to potty training like a true pro. We had one or two accidents on her first day but since then she has been pretty much entirely dry. 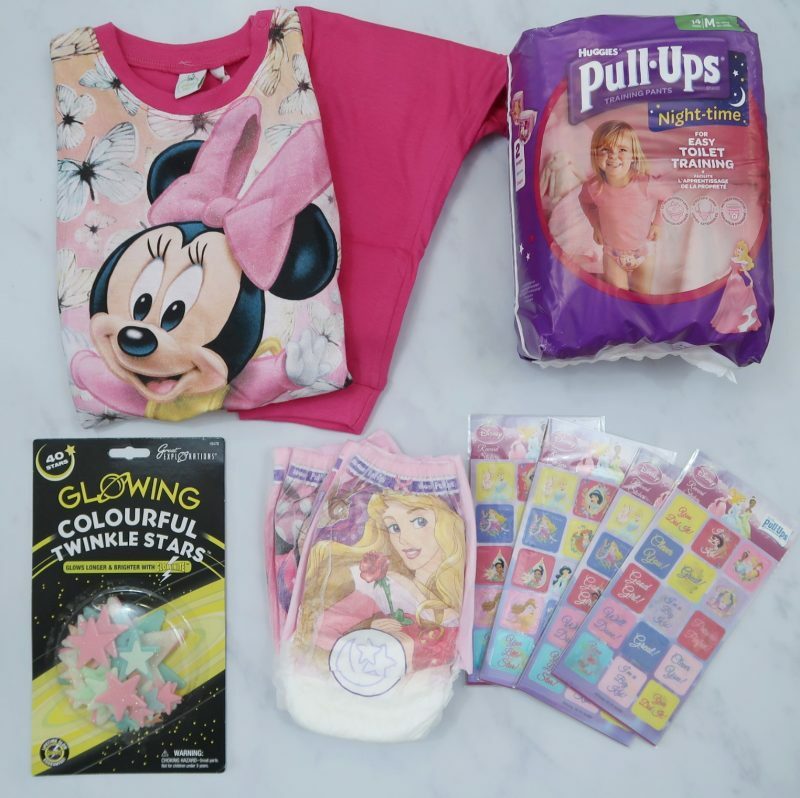 The items we received from Huggies have definitely helped to get her enthusiastic and confident about training. We are ready to move on to the next step this week – trying some pants during the day. We will be updating soon with news on our progress, both with big girl pants and night time training. Look out for our news in a few weeks’ time. 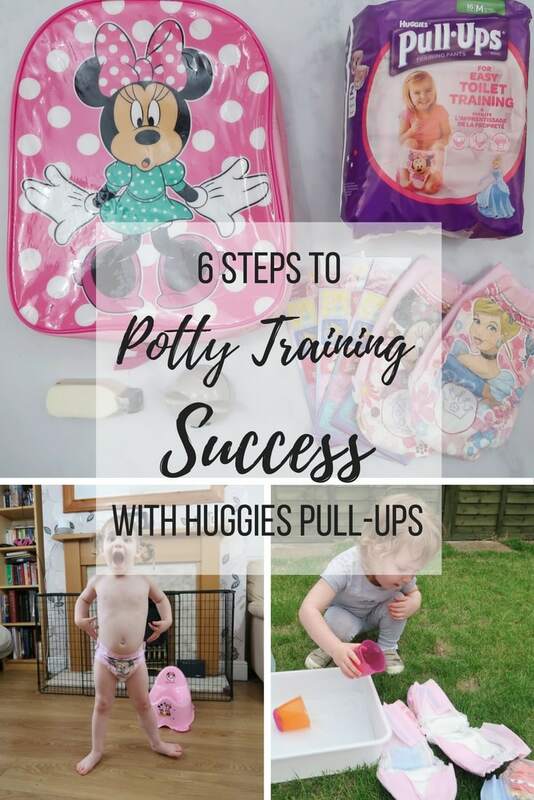 In the mean time, you can find out all about the 6 Steps to Potty Success at pottytraining.co.uk. Please note, this post is in collaboration with Huggies Pull-Ups. I hope it goes well for you both! Thanks for reading. Ah! The joys of potty training… lol Great review! Some really great tips here! We were lucky with our toddler in that she just sort of did it herself (we were lazy and put it off and off until one day she just decided that was it – nappies were no more!) but it was a whole other story with our eldest! Sounds like your little one is doing well! 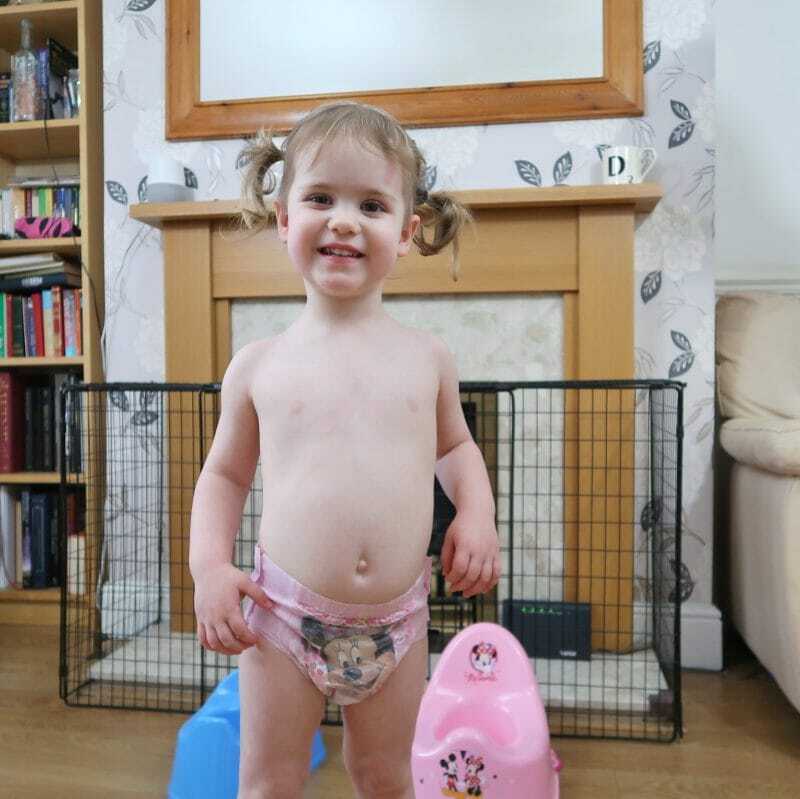 We’re potty training with Huggies Pull-ups at the moment too and they’ve definitely helped. We’re not there yet, but I’d say we’re 75% or so on the way to being fully potty trained. I was dreading potty training (I have a real hateof potties), but my boys did it themselves and went straight to the loo! These look fantastic, and I love your ‘experiments’ with the water! 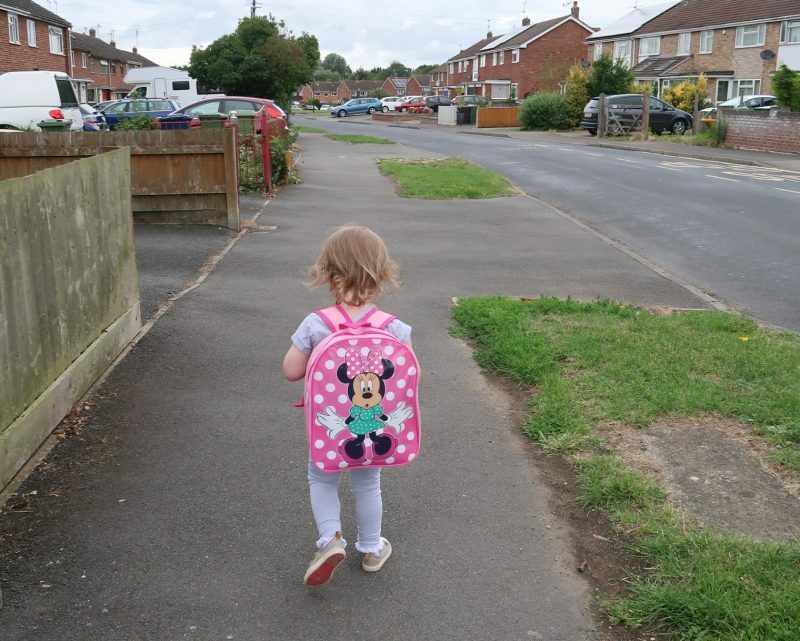 My youngest is coming up to potty training in the next few months and I’m actually dreading it – I’ve potty trained my eldest and it was the hardest part of parenting so far! Good luck with potty training. We used Huggies too. A much more thoughtful approach to potty training than I had previously considered. 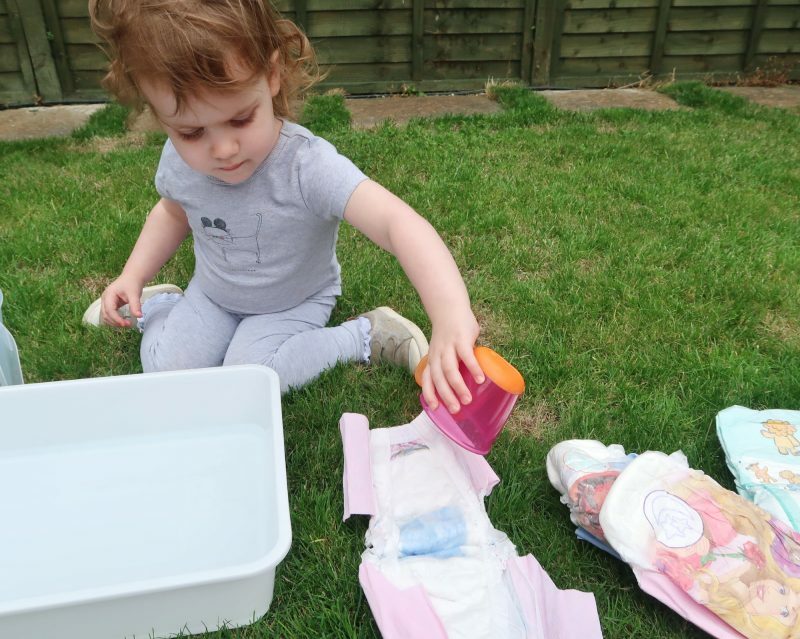 Some fab tips here…..my little one is only 14 months but I’m trying to introduce the potty through books and play so it’s a normal part of her life already, hoping that it will encourage her and give her the confidence to use it early. The most structured potty training tips I have seen. Thank you.